This was a great project. We have worked with MBNA & Arsenal for years creating – interesting fun games with a group of Arsenal players. This is a great laugh, the lads are always good fun, and are always willing to give it a go. This year we had a true Gunner’s legend with us (Ray Parlour) – and decided we were going to test the “new blood” on their cockney credentials. 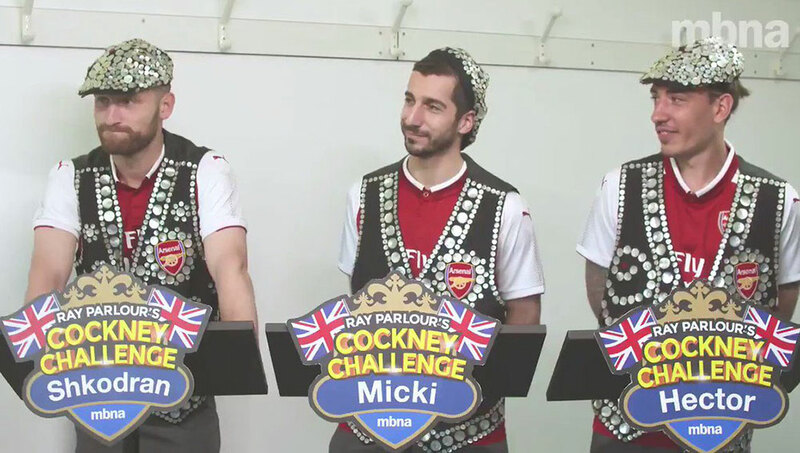 We created a gameshow featuring Ray as the host, and 3 Arsenal players as the contestants. This continues to be a shining example of fun video content produced and deployed for MBNA. With over 100K views, and national media coverage.